For most of us, missing a plane can be anything from a minor inconvenience to a major disaster. But when Tasmanian veterinarian James Stone’s homebound flight from Antarctica was cancelled, he was overjoyed: he got to stay for an extra week on the frozen landmass that has captured his imagination and his heart. Stone was in Antarctica completing an elective component of a Masters in Marine and Antarctic Science, living and working at New Zealand’s Scott Base during the summer of 2014-2015 and camping – yes, camping – on the ice of the Ross Ice Shelf for a week over Christmas. It was an experience, Stone said, that was “worth it just for the flight down to the ice: Antarctica from the air, even from the cramped confines of a US Military Hercules aircraft is a sight never to be forgotten”. Stone’s trip to Antarctica was his second to the icy continent, having first made his journey south as a tourist after completing an undergraduate degree in Antarctic Science at the University of Tasmania (UTAS) in 2014. “It was amazing,” Stone said of his three week expedition to South Georgia and the Antarctic Peninsula. “The scenery, the wildlife, the remoteness, nothing was a disappointment – not even the huge seas of the Drake Passage.” It was also a great way to celebrate finishing his degree, having stumbled across the UTAS Antarctic Science program purely by chance several years beforehand when he spotted an advertisement for the degree in an Australian Geographic magazine while holidaying on Lord Howe Island. Hailing originally from Somerset in England’s West Country, Stone has always had an avid interest in science. He excelled in biology at school and studied veterinary science at the University of Liverpool after his school careers adviser persuaded him to apply for the course on the basis that it would provide great training in a broad range of science subjects. “I was never one of these kids who wanted to be a vet from age four because they loved animals; I was more interested in the science side of the job,” Stone said. He was also a keen Scuba diver during high school, and would have pursued marine zoology as a career had he not been accepted into veterinary science the first time around. Stone first settled in New South Wales, occupying various locum positions before taking up a full time job at a veterinary practice in Penrith, in western Sydney. “I much preferred the work ethic and lifestyle in Australia compared to that in the UK, and I became an Australian citizen in 2008,” he said. That said, Stone was still struggling with his chosen career path. “The stress of life in a busy practice was really starting to get me down, and I wasn’t happy. Initially I cut back my hours and focused on surgery and practice administration for a while, but it still wasn’t what I was after.” Around this time, Stone recalled the advertisement for the UTAS Antarctic Science degree he had torn out of the magazine while on holidays the year before. “It really grabbed my attention, as it would have been exactly the course I would have wanted to do on leaving school had such a thing been available at the time,” he said. 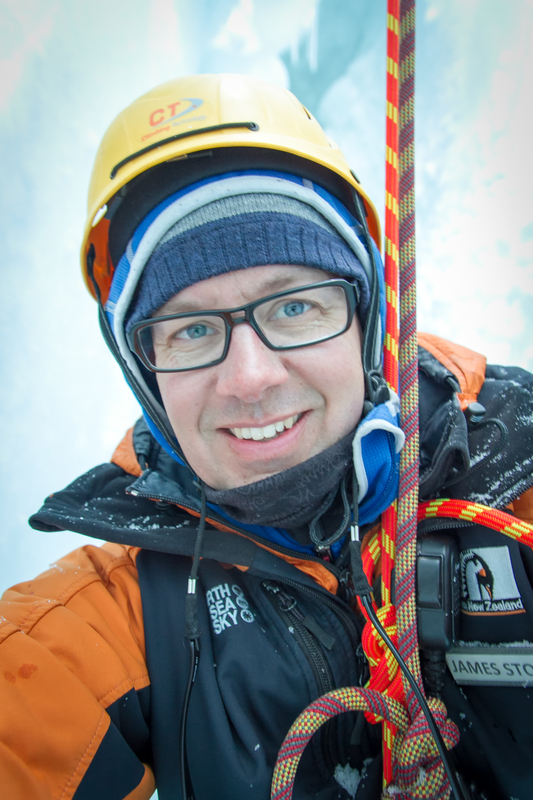 “So, my midlife crisis was to enrol for the Antarctic Science degree and try something completely different, something I was interested in and passionate about”. Stone’s three year undergraduate degree flew past, but after graduating in 2013 – and subsequently making numerous applications for positions with the Australian Antarctic Division, the Bureau of Meteorology and the British and New Zealand Antarctic programs – it became increasingly apparent that he would not be able to secure a job involving his new area of expertise without a PhD. For Stone, such a prospect was not enticing: “after five years of vet school, a couple of years of post-graduate study and a second three year undergraduate degree, the thought of doing a PhD was a little disheartening”. By this time, however, Stone had been well and truly bitten by the Antarctic bug – particularly after his celebratory trip to South Georgia and the Antarctic Peninsula – so he compromised, and instead of undertaking a doctorate he enrolled in a Masters in Marine and Antarctic Science, again at UTAS. For Stone, one of the highlights of the 18 month Masters program was incorporating an elective component that allowed him to complete a Post-Graduate Certificate in Antarctic Studies (PCAS) at the University of the Canterbury, in Christchurch, New Zealand. Although the three month course did not include much that Stone had not already studied in theoretical terms, the practical component of PCAS is unique in the world, offering students the opportunity to spend ten to fourteen days living and working in Antarctica – or, if your flight gets cancelled, as Stone’s was – three weeks. The PCAS course placement at Scott Base, which has been New Zealand’s permanent research support facility in Antarctica since 1957, furnished Stone with some particularly memorable experiences. Not only was he captivated by “the sheer scale of the place, the limitless shades of white,” but he was also acutely aware of other sensations, such as the noise of Weddell seals under the sea ice, and the feeling of “trying to breathe in -26oC, accompanied by that brief realisation of how easy it would be to die out there without all your ECW (extreme cold weather) gear for protection”. Even so, Stone was surprised by how quickly he became accustomed to the cold, and how “a -5oC day becomes T-shirt weather”. Other aspects of Antarctic life required longer periods of adjustment. “You never quite remember that it isn’t going to get dark when you go to sleep at night,” Stone said, recalling the news headline at breakfast one morning shortly before Christmas: that the next sunset at Scott Base would be on February 17. Finding moments of solitude can also be problematic, because “even though Antarctica is so remote, isolated and uninhabited, you are never alone – for safety”. Ironically, after living in such a small and inaccessible community, Stone was surprised by his reaction to returning to so-called ‘normal life’: “I was not prepared for how overwhelming civilization – even if it is just the small town of Ushuaia, Argentina or Christchurch, New Zealand – can be when you get back to the real world”. In Stone’s opinion, however, the challenges presented by spending time in such an unforgiving environment are well and truly offset by the perks. Simply being present in the Antarctic landscape provided him with many ‘pinch yourself’ moments and valuable memories, including waking up and peering out of his tent at Mt Erebus, an active volcano, puffing steam a short distance away. He was also affected by the palpable sense of history pervading the continent, especially in relation to the early expeditioners who set out to reach the South Pole for the first time. Stone said one particularly moving experience was “stepping inside Scott’s 1901 Discovery Hut, and seeing the mountain ranges as Herbert Ponting described and photographed them in his book Great White South, which I had taken with me to read”. There were also moments of comic relief, such as trying and failing to construct an igloo during a white out on Christmas Day. “It was an exhausting way to spend the day, and in the end was completely fruitless!” Stone said. “Luckily Santa arrived on a Hägglunds [a tracked oversnow vehicle] with Christmas dinner”. Being exposed to Antarctica’s unique and abundant wildlife was another bonus of undertaking the PCAS elective, and one that appealed to Stone’s academic interests as well as to his veterinary background. On both his trips to Antarctica, however, the immense scale of the animal populations was as impressive to Stone as the broad sweep of the landscape itself. “I remember being overwhelmed the first time I set foot on Salisbury Plain in South Georgia amongst 250,000 pairs of King penguins,” he said. “I didn’t know where to look, whether to just sit and let them come to me, or walk amongst them. The noise, the constant interactions were incredible – and of course it’s hard not to anthropomorphise”. Stone was also staggered by the variety of species with which he came into contact, particularly in the oceans surrounding Antarctica, which he described as “boiling with life”. At one site, for example, he recalled seeing three different kinds of penguins, two species of whales, a multitude of albatross and other seabirds, as well as seals. “It was incredible to see such an abundance of critters,” Stone said. Watching various species come into contact with each other in their natural environment also provided Stone with remarkable – though less pleasant – memories. “I remember the first time I saw a fur seal attack a King penguin, completely unprovoked, play with it like a cat does with a mouse and then leave it for the skuas and giant petrels to devour. I was quite shocked, I hadn’t really expected that behaviour,” Stone said. “With my vet hat on, it’s fascinating to see how the animals have adapted to life in such an extreme environment, the vast numbers of animals congregated together, their behaviour and interactions, and how survival of the fittest plays out in front of your eyes”. Since returning from Antarctica in January 2015, Stone has concentrated on completing his thesis on the cumulative impacts of Antarctic tourism. He is due to graduate from the UTAS’s Marine and Antarctic Science Masters program in August 2015, but has continued working as a vet on the side, despite the self-described mid-life career crisis that propelled him back to university. “I actually enjoy it much more now than I used to,” Stone said. “Perhaps working part-time, in a quieter practice and with more experience and knowledge, I now find work almost relaxing rather than stressful”. He also attributes some of his recent satisfaction with veterinary work to his colleagues, particularly to the next generation of vets entering the practice. “We have had several new graduates at the clinic over the past few years and I have enjoyed mentoring them and watching their confidence and abilities grow,” Stone said. “I’m amazed at how knowledgeable and confident the new graduates are today compared to how I felt when I first entered the work place”. Away from his studies and his veterinary work, however, Stone also makes a living – along with a burgeoning reputation – as a photographer. “I’ve had an interest in photography for as long as I can remember,” Stone said, “but it wasn’t until I moved to Tassie and discovered that you could view the Aurora Australis or Southern Lights that I really got back into photography and became passionate about it”. Night sky and time-lapse photography are now the main avenues of Stone’s art, but he enjoys landscape, wildlife and – obviously – polar photography as well. He has regularly had his pictures displayed in local and regional exhibitions in Tasmania, has had some images featured in a book on aurora chasing, and recently took part in ‘Tarkine in Motion’, a collaboration of seventy artists using art and photography to raise awareness of how the Tarkine region in Tasmania’s north-west is being threatened by logging and mining. In June, 2015 Stone also had one of his aurora time-lapse sequences purchased for use in a Google television and cinema advertisement. “I am lucky enough to be able to see the aurora, conditions allowing, from my home,” Stone said, and since seeing my first display I have been hooked, and have spent many, many nights out – and a fair chunk of my income – chasing and shooting the lights since then”. Fortunately for Stone, Tasmania has been one of the prime vantage points for viewing the Aurora Australis in recent years, largely because the eleven year solar weather cycle is in its declining phase. Scientific research suggests that in the years following the ‘solar maximum’ (which peaked in 2011), the increased geomagnetic activity and solar winds that produce auroras are far more likely to occur. Moreover, as Stone points out, the atmospheric conditions in Tasmania are particularly conducive to viewing the Southern Lights: “Tassie is one of the few places left in the world with dark skies, and our small population and vast areas of wilderness means we have minimal light pollution and can see the night sky and Milky Way in its true spectacular glory”. While aurora photography may appear to be technically challenging to the uninitiated, Stone insists that it is not as demanding as one might think. “All you need is a DSLR, fast, wide angle lens and a tripod (and a beanie) to capture the aurora, using exposures of a couple of seconds up to about twenty seconds,” Stone said. Getting sharp focus on tiny stars in the dark is the trickiest skill to master, but finding an appropriate spot to set up a tripod can be just as difficult given the rising popularity of aurora photography in Tasmania since the solar maximum occurred. Having the Southern Lights appear at an appropriate time can also be hard to deal with. “The aurora is a fickle beast, often turning up during daylight, or when the sky is totally cloud-covered, or there is a full moon, but when she does appear she is mesmerizing,” Stone said. “Although visible to the naked eye, the colours are not very pronounced, but when you see the true splendour of the aurora in a long exposure photograph it truly is beautiful”. In order to tame the so-called ‘fickle beast’, Stone regularly sets up a time-lapse, shooting hundreds of photos over the course of a few hours, which when rendered and played back as a video highlights the changing forms, shapes and movement of the lights. Evidently, Stone is as fascinated by Aurora Australis as he is by Antarctica – with perhaps the most significant difference between his two loves being the solitude afforded by photographing the Southern Lights. “When I’m alone on a vast, deserted beach in the middle of the night, with the Southern Ocean waves crashing beneath me and the stars above, I can feel like the only person on the planet,” he said. “It amazes me how much activity there is in the night sky, from shooting stars, meteors, comets, satellites, the International Space Station, Iridium flares – there is barely a minute when there is not something whizzing by overhead. The changes in the orientation of the Milky Way throughout the year and even throughout the night make you appreciate our place in the universe and how fast we are spinning through it”. At the end of August 2015, Stone has been invited to participate in an Arctic expedition organised in conjunction with Ocean Geographic that will allow him to combine his academic and artistic pursuits. The ‘Elysium Artists for the Arctic’ expedition will bring together sixty world famous ocean and polar scientists, underwater photographers and artists to help highlight the impacts of climate change on the Arctic, and on the wildlife and people who live there. 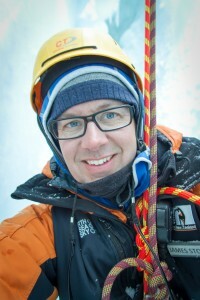 Stone anticipates that some of the work he produces in the Arctic will be included in a subsequent documentary and global exhibition: “I am hoping this experience and exposure will help my chances of bringing together my passion for photography and the polar regions as a polar photographer, naturalist, and guide, educating visitors to the remote northern and southern icy realms of our planet”. When asked what the future holds, Stone’s outlook is resolutely sunny, despite the fact that he would love to experience a winter season in the Antarctic and the endlessness of the polar night: “Imagine – aurorae twenty-four hours a day!” He is determined to keep pursuing a science career in the Antarctic, but he is satisfied that working as a veterinarian still provides his main source of income, and knows that it is something he neither wants to lose touch with nor give up altogether. Photography continues to be Stone’s favourite sideline, and he has recently been busy setting up a website dedicated to his art (www.james-stone.com). Should Stone ever have another mid-life crisis he has joked that he will retrain as a helicopter pilot, because he believes “flying in a chopper is the ultimate way to travel – they get to fly to some really remote places, in pristine landscapes with no trace of human existence or disturbance”. But in the meantime, before he departs on his Arctic expedition, Stone is content to keep chasing the Southern Lights through the Tasmanian night. “Tasmania really is an incredible place to live – for me, it felt like home the first time I visited,” he said. “I feel at peace under a blanket of stars”. PREVIOUS POST Previous post: Abstracts: Is “cooling then freezing” a humane way to kill amphibians and reptiles?